You have a Kapha-Pitta constitution. This means that you have two dominant doshas. You are focused and have strong will power, showing great perseverance in whatever you set out to do. At times however, you can be a little stubborn and self-indulgent. On the whole, you have a well-balanced personality and can be quite patient. Try to curb your obsession with perfection as this can give rise to feelings of low self-worth. Although your weight can fluctuate easily, with a little discipline you can easily keep your weight in the healthy range. 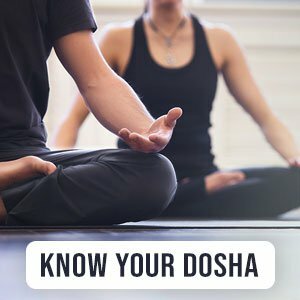 What’s great about your dosha combination is that your body is inclined to be lean and muscular, making it fairly easy to gain muscle mass. Your skin complexion and tone can vary significantly, but tends to be oily. You can easily adapt to almost any environment because of your stable body temperature, but you tend to prefer places with lower humidity levels. Similarly, most foods agree with your constitution and you rarely have digestive disturbances. This can increase your tendency to over indulge and makes you susceptible to problems like obesity. In addition to problems with weight fluctuation, you may also be vulnerable to skin diseases and heavy perspiration that can cause foul body odor. Ama levels or toxins may buildup in your system, exposing you to other health risks, making cleansing routines particularly important.